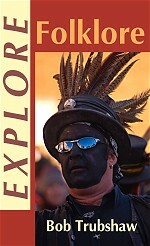 Explore Folklore shows there is much more to folklore than morris dancing and fifty-something folksingers! The rituals of 'what we do on our holidays', funerals, stag nights and 'lingerie parties' are all full of 'unselfconsious' folk customs. Indeed, folklore is something that is integral to all our lives – it is so intrinsic we do not think of it as being 'folklore'. ISBN 1 872883 60 5. September 2002. Excerpts from Explore Folklore can be found at Foamy Custard, a Web site for folklore, mythology, cultural studies and related disciplines. Look for an overview of folklore theory, problems with popular perceptions of folklore and contemporary lore and legend. ‘Is some riddle solved by my surviving forever? Given the extent to which modern-day pagans take as a truism that many of our folk customs have, unconsciously, retained relics of their heathen origins is traceable to the success of one man’s major opus - Sir James George Frazer’s The Golden Bough, a multi-volume work published in the 1890s. ‘It is difficult to overrate the influence of The Golden Bough. It offered a pattern which was immediately and attractively available; and it proceeded to dominate attitudes and thinking to a remarkable extent. The vegetation drama, ritual death and resurrection, the sacred tree, became accepted elements . . .’ So observed Roy Judge in his study of the Jack-in-the-Green , also noting that the Frazerian influence was complex. Frazer’s objectives were straightforward: to demonstrate that Christianity derived from the same principles as so-called ‘primitive’ religions. Within the constraints of the then-active blasphemy laws Frazer strove to treat the Bible as another rich mythology - to be studied objectively, and with the same contempt for the beliefs as academics showed for non-christian faiths. Part of these ‘grand hypotheses’ was that morris dancing was an ancient rite which had remained unaltered for centuries. When an historian, Barbara Lowe, published her studies of the earliest origins of morris dancing in 1957  she was totally ignored. This is not in the least surprising, as what she discovered runs entirely counter to Sharp’s fantasy. Lowe found that morris dances first appeared about 1450 as a new craze in the courts of the nobility and royalty throughout western Europe. These courts were notoriously fashion-conscious and briefly-favoured novelty was as prevalent then as in our own times. Courtly morris of the fifteenth century was a Christmas-tide entertainment involving a group of men with bells on their legs, dancing frenetically in an attempt to woo a lady. After this display of male vitality she, in fine fickle, gave her heart to a fool. Not only did this little scenario find favour in the palaces of England, soon it was spreading among the common people. First along the Thames to nearby towns and then, by the sixteenth century, throughout England. Along the way it became less a feature of Christmas than of the Maytime or summer games. The history of morris dancing is similar to many other popular traditions. A number of historians have intensively studied specific aspects of ‘traditional’ customs - and repeatedly revealed that these traditions peter out before the eighteenth century. A few ‘traditions’ really are traditional - but there are few of them. When we decorate our homes with greenery and give each other presents at Christmas, we are following a custom which goes back ‘time out of mind’. Few of us light bonfires for Mayday or Midsummer but, up until the late nineteenth century, this was a common-place custom which, also, can be traced back beyond written records. Probably the erection of Maypoles is equally archaic. But written records ominously peter out for all other ‘traditional’ customs. Historians know well that events are best shown up in written sources when they contravene custom or legislation. The names of common people most frequently enter the annals of written history when they appear in court records for greater or lesser crimes; not infrequently, drunkenness on feast days. The once-heated debates of churchwardens and clergy are veiled beneath the dry records of parish registers. These same registers reveal year after year the amounts spent preparing for such festivities as ‘church ales’ - until, abruptly, these expenses are no longer part of the meticulous lists. No one at the time explicitly stated that church ales had been superseded by other (less bawdy) forms of fund-raising, but the evidence is clear enough. So the genealogy of popular customs can be pieced together. There is clear evidence that in the late medieval era ‘new devotional fads were enthusiastically explored by a laity eager for religious variety’  The greatest of the feasts of the late medieval liturgy, Corpus Christi, apparently well-established since time immemorial, was comparatively new, dating only from the thirteenth century. Such were the religious practices of the populace. This was ‘traditional religion’ in Britain - although this simply begs the question, ‘How traditional was “traditional”?’ Running in parallel were the ascending aristocratic interests in astrology and the attempts to subdue ‘witchcraft’ and the various activities of ‘cunning’ men and women. The boundaries between religion and magic were less well-drawn than they are with the hindsight of modern mentalities . Behind these terse paragraphs are entire academic careers picking over the ways in which social history is a patchwork of ever-evolving changes. We think of our own times as being subject to unique processes of change. Yet history records an ever-changing flow. The difference of the modern day is mostly that the processes of communication are more immediate and more detailed, giving a greater awareness of change. An additional and pertinent difference is that, until recently, the ‘meanings’ of popular customs were not fixed by written accounts. Why things were done was the least rooted aspect of these activities. Peeling the layers of the onion away, the fifteenth and sixteenth centuries saw the pro-Reformation and counter-Reformation sway back and forth with greater or lesser enthusiasm and enforcement. The reign of Elizabeth I provided an era of comparative tolerance, where the country was officially Protestant but the zeal of the senior clergy could be, and was, vetoed by the monarch. During the Civil War and Restoration there is widespread written evidence of the way new religious and social ideals were being promulgated. The sometimes brutally aggressive Puritans stripped the churches of their images, rood lofts and altars - while a smaller, less-aggressive number, from time to time attempted to restore some of the ‘popish’ traditions . Just how thoroughly the Reformation and Civil War swept away traditional customs is revealed by writers of the time. John Aubrey is a name well-known for his early antiquarian interests. He was a child before the Civil War and could see first-hand how many local customs, such as midsummer bonfires, had vanished during the Interregnum, ‘the civil wars coming on have put all these rites or customs quite out of fashion.’  Aubrey also tells how the once-annual custom of decorating the salt-well at Droitwich on the patron saint’s festival was prohibited; the well promptly dried up. The ceremony was restored the following year, whereupon the water once again flowed. The modern era is much better documented regarding folk customs. Superficially, this might be thought that our society became more self-conscious of the need to preserve itself in writing. But this is somewhat inaccurate. Plenty of records exist in the sixteenth and seventeenth centuries but the popular customs were so commonplace that they were rarely considered worthy of mention, except when unusual rowdiness or other irregularities entered the annals. Only in the late eighteenth century did educated observers become sufficiently separated from the common people that they began to record popular customs, rather in the manner that early explorers were systematically documenting foreign cultures . By the late nineteenth century the fairly copious written records reveal that popular customs were again undergoing wide-spread changes. Victorian moral standards disfavoured drunkenness, brawling and any suggestions of lewdness. And, as court records reveal, the former two were inextricably linked to village festivities, and the latter is frequently alleged by detractors (although parish records of births do not provide evidence for a surfiet of milk-maids defloriated at Maytide). There is more than a little to suggest that such holidays were traditionally a time for local lads to visit a neighbouring village, not just for a few beers, but an inevitable punch-up with the ‘home team’ . One might be forgiven for thinking that the South Lindsey district of Lincolnshire is as traditional and slow-to-change as any part of England. But, as Obelkevich found , this area was always in contact with the groundswell of change. His meticulous study of rural society there in the mid-nineteenth century reveals the same processes of ‘gentrification’ which other researchers, such as Bushaway , reveal for elsewhere in the country. The earliest-known illustration of dancing around a maypole in England, from 1680s. Bushaway draws upon many first-hand accounts. One of these, written in the 1880s, describes the Mayday activities in a Hampshire village. Bushaway discerns ‘the ceremonies of Mayday were deliberately transformed to accord more with prevailing Victorian taste and ideas of social behaviour. The Ruskinesque image of little schoolchildren or young girls carrying delicate May garlands under the kindly supervision of an adult was a popular one, well known in Victorian art. The image bore little relationship to the earlier more robust customs which had been consistently suppressed and discour-aged . . .’ Bushaway discusses in detail the demise of bull baiting, street football, cheese rolling, ‘Whipping Toms’, and a number of other ‘boisterous’ popular pastimes. All these were more-or-less totally eradicated throughout the country by the combined efforts of the local justices, clergy and other gentry. Despite the best efforts of the Victorian patriarchs a handful of these customs did survive. But they did not escape unchanged. Some, like the Abbots Bromley Horn Dancers, benefited from natty costumes (previously the performers wore their everyday clothes). Ironically, at the very end of the Victorian era it was the ideas of Frazer which were imposed on the traditions. The process of ‘paganisation’ had begun. The same imposition of Victorian and Edwardian values can be recognised in the way folk music was being recorded. Cecil Sharp and other pioneers must have spent untold hours ‘in the field’ transcribing songs by ear. They cannot but have known that traditional folk singers vary their melodies slightly from verse to verse and use subtle rhythmic and pitch embellishments. Yet their transcriptions show an ‘idealised’ version, tidied up to fit into the twelve-note scale and simple rhythmic schemes. Great play was made of the ‘modality’ of the melodies, as if this in some way made them exotic. When ‘serious’ composers such as Ralph Vaughan Williams or Percy Grainger got hold of these tunes the process was intensified, with four-square harmonies being imposed in place of the entirely different idiom of monophonic music. If it is hard to imagine the original singers’ voices while listening to Vaughan Williams' symphonic settings of folk songs, so we should be equally suspicious of how much the written record of folk customs has been equally bowdlerised. This is not to suggest that Frazer was to blame. Paganism was an integral part of nineteenth century European culture. Not, I stress, in a sense that in any way suggested worship or even belief in pre-christian deities. The Renaissance had re-awakened awareness of Classical paganism, and the Classics remained the bedrock of educated European culture - the foundations from which all other civilisations had evolved. In the less-educated popular minds some of this spilled over but a complex syncretism of magic and respect for the Christian concept of the Devil provided a system of superstitions which, for want of a better term, is usually described as ‘pagan’. Nevertheless, at the end of his study, Obelkevich writes, ‘It is hard to avoid the conclusion that paganism was dominant and Christianity recessive in popular religion. Paganism was rarely christianized, but Christianity was often paganized.’ Those who want to understand the context of these conclusions should read his book - hiding behind the scope of a regional study are many ideas of wider importance. The imaginations of the late Victorian folklorists were fuelled by this on-going popular ‘paganism’ within Christianity and the notions of a unified pre-christian pagan past seemingly supported by Frazer’s melting-down of ethnology. These imaginations asserted that hobby horses - such as that at Padstow - must be survivors of the masked dancers which early Christians, such as Theodore in his oft-quoted homily, attempted to suppress . Likewise, foliate heads - so frequently found carved in the stonework of churches - were, to the eyes of Lady Raglan (who coined the term ‘Green Man’ to describe them), evidence of a subversive veneration of vegetation gods . A medieval mummer's play with the characters dressed in animal masks. Hooded animals (of the Padstow type) enter written records about 1800; ‘There is evidence neither for a hooded animal much before that date, nor for an association between hooded animal and the morris dance, nor that this type of construction was ever called a hobby-horse before [the twentieth] century’ concludes Cawte. He acknowledges that ‘there are records of animal disguise in every century since the thirteenth, in either Great Britain or France. The recent customs might therefore be expected to have lengthy pedigrees, but they seem to be distinct from the events recorded earlier that the situation is much as before; it can only be guessed that there may be some connection between recent customs and the older ones.’ Despite such bending-over-double to admit the possibility of guesswork, the conclusion is clear - there is no evidence. If Jack-in-the-Greens are an eighteenth century entertainment, then the medieval foliate faces could still be pagan. But, as the pioneering study of Romanesque carvings by Anthony Weir and James Jarman revealed, the early development of the foliate face is complex and perhaps part of a family of motifs originally intended to depict the Seven Deadly Sins - with the Green Man representing Lust . These suggestions were innovative yet, ten years after publication, have not been seriously contested. Did the apparently pagan customs of animal disguises and Green Men have a pagan origin? The evidence provided by these thorough researchers clearly demonstrates that the supposition of pagan origins does not fit the evidence. During the 1970s and 80s the whole edifice built up on Frazer’s foundations was steadily dismantled by academics. Nothing of consequence was left. Folklore studies adopted a more functionalist approach (some would argue an excessively functionalist approach!) and turned their backs on pan-cultural synthesis. At the same time modern-day witchcraft was gathering momentum. Much of this energy was provided initially by Gerald Gardner, whose eclecticism makes the term syncretism an understatement. Drawing on the ideas of, among others, Margaret Murray (The Witch-cult in Western Europe) and Robert Graves (The White Goddess), with more than a little input from the ceremonial magic of the Golden Dawn and its descendents, he invented pagan ‘wiccan’ rituals. To give credence to these he overplayed his contact with some traditional ‘cunning’ men and women in Hampshire, suggesting that they were part of some organised tradition dating back to the mists of time . Just when academe was shaking off the dodgy meta-theories of Frazer, and consigning The Witch-cult in Western Europe to the pile of books based on deliberately-distorted evidence (The White Goddess had never been taken seriously by anyone else; even the author regretted publishing it! ), these very ideas were being taken up by the exponents of popular paganism and thereby gained an even wider influence which continues little-abated to this day. Part of the reason is that, all too often, academic specialists live in a different belief system to the outside world (even other academics in different disciplines). Everybody except paleolithic experts thinks cave paintings were about hunting magic. Everybody except neolithic experts think the New Stone Age peoples venerated a Great Mother Goddess. Everybody except specialists in the period think the victims of the witch-hunts were practitioners of a pre-christian pagan religion. Almost everybody thinks sheela-na-gigs were pagan deities. Fortunately someone was thoughtful enough to provide non-specialists with an update on what could be known with some certainty, ruthlessly exposing anything that was only supposition. That person was Ronald Hutton, who came to academic and popular attention with his book The Pagan Religions of the Ancient British Isles . 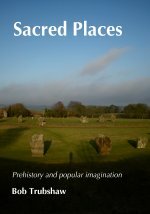 Since then other authors have attempted to unravel facts from popular pagan fictions; for instance Miranda Green  discusses Celtic triple deities, keeping a great distance from Graves’ fabrication of a three-fold goddess. Predictably, those who espouse modern pagan beliefs have attacked Hutton, leading to some vituperative correspondence . But as he was mostly the bearer of the news that many different researchers had independently concluded there is no factual basis to their faith (but since when has that ever been a problem to religions?) this might be regarded as misdirected - all the more so because Hutton is actively involved in modern paganism. Regrettably these debates between modern pagans and those they perceive as ‘Huttonites’, entertaining and revealing as they may be, have served as something as a smoke screen which has distracted attention away from the key issues. My hope is that this article will not regenerate the smoke, but will encourage readers to explore for themselves the research which Hutton summarised. The overall impact of that research puts folklore and related affairs into a different perspective from the popularly-held viewpoint. No one is disputing that morris dancing, Green Men and the like have, over the last few decades, become paganised. Rather, this is just one more veneer on the ever-changing nature of these ‘traditions’. But these modern pagan ideas are quite distinct from historical understanding. The key word here is ‘historical’. The work summarised by Hutton is that of historians, where absence of written evidence is taken as prima facie evidence of absence. Folklore and folk custom, by their nature, are manifestations of primarily oral cultures. Such oral traditions all-too-quickly fade into silence. Frazer gave voice to that silence in a manner which retained few, if any, echoes of the original. The chorus of Frazerians reverberates on, at least outside academe. Recent academic studies have, so far, been by historians rather than anthropologists who might be more sensitive to picking up ‘inaudible’ oral traditions. The work summarised in this article is, perhaps, only a starting point. At the time of researching and writing this article I was not aware of exactly what David Clarke and Andy Roberts were quietly cooking up. The publication of their Twilight of the Celtic Gods (see reviews section of this issue) proves that they have got well past the starting point in picking up hitherto-unheard oral traditions. I have chosen not to modify the text of this article in the light of reading their book, although clearly a number of issues are illuminated in new ways by their ‘informants’ from the traditional village families of the Peak District and south Yorkshire. Ronald Hutton's latest book, The Stations of the Sun, also arrived after this article was written (again see reviews section). His book deals, in greater depth, with most of the topics outlined here. I have not modified my text (although the two illustrations used here are taken from The Stations of the Sun) but simply recommend this work as essential reading for anyone who wants to find out more about British folk customs. Special thanks to Professor Ronald Hutton for drawing my attention to key sources and providing background information to his published works. He kindly read an earlier draft and amended comments relating to Frazer. However, the views expressed here do not necessarily reflect his opinions. Two books which lurk in the background of this research, but which do not receive overt citation, are Aron Gurevich’s Medieval Popular Culture - problems of belief and perception (trans. J.M. Bak, Cambridge UP, 1988) and Charles Phythian-Adams’ brief but inspirational (and unjustly overlooked) Local History and Folklore - a new framework (Bedford Square Press, 1975). 1: Roy Judge, The Jack-in-the-Green - a May Day custom, D.S. Brewer, 1979. 2: James Frazer, The Golden Bough, abridged edn 1922; frequently reprinted. 3: Bob Bushaway, By Rite - custom, ceremony and community in England 1700-1880, Junction Books, 1982. 4: Barbara Lowe, Journal of the English Folk Dance and Song Society, 1957; cited in Ronald Hutton, ‘Morris and Marian’, Talking Stick No.16 Oct 1994 p13-15. Hutton’s article is the source of all these remarks regarding the the origins of Morris dancing and contains several other references to sources not cited here. One key source is: John Forrest and Michael Heaney, ‘Charting early morris’, Folk Music Journal, vi (1990-2) p169-86. 5: Eamon Duffy, The Stripping of the Altars - traditional religion in England c.1400 -c.1580, Yale UP, 1992. 6: Keith Thomas, Religion and the decline of magic - studies in popular beliefs in sixteenth and seventeenth century England, Weidenfeld and Nicolson, 1971; Penguin edition 1991. Despite its date, the formidable scope of this book remains valid as a major source of insight into popular belief. 7: Duffy, op. cit. ; David Cressy Bonfires and Bells - national memory and the Protestant calendar in Elizabethan Stuart England, Weidenfeld and Nicolson, 1989; David Underdown, Revel, Riot and Rebellion - popular politics and culture in England 1603-1660, Clarendon, 1985. 8: John Aubrey, Remaines, cited in Underdown, op. cit. 9: Bushaway, op. cit. ; Cressy, op. cit. ; Ronald Hutton, ‘The English Reformation and the evidence of folklore’, Past and Present No.148 Aug 1995; R. Hutton, The Rise and Fall of Merry England - the ritual year 1400-1700, Oxford UP 1995; R. Hutton, The Stations of the Sun, Oxford UP 1996. 10: Hutton, ‘The English Reformation and the evidence of folklore’ op. cit. 11: This ritualised male aggression, clearly visible in traditional Shrove Tuesday street football and the Easter Monday Hallaton Bottle Kicking, also survived until recently on the terraces of football stadia (and is one of the UKs few exports to Europe). It is not simply a ‘territorial instinct’, as ritual fisticuffs were a feature of Irish funeral customs until very recently (see Gearoid O Crualaoich, ‘Contest in the cosmology and the ritual of the Irish “Merry Wake”’, Cosmos No.6, 1990 p145-160). While it may date me, I think also of the Bank Holiday activities at certain seaside resorts during the 1960s, when gangs of scooter-riding ‘Mods’ arrived. In its various manifestations, this ritual aggression is an aspect of ‘liminality’ in its own right, and deserves more detailed discussion. 12: James Obelkevich, Religion and rural society - South Lindsey 1825-1875, Clarendon, 1976. 15: ‘Theodore’s famous homily against those who disguise themselves as animals on the Kalends of January has been attributed to Theodore of Tarus, Archbishop of Canterbury, but this attribution is an error and the homily is not English.’ E.K. Chambers The Medieval Stage (Vol.II, p305), Clarendon, 1903, cited in E.C. Cawte, Ritual Animal Disguise, D.S. Brewer, 1978. 19: Punch, 1844, IV, p196 cited in Judge op. cit. 20: Anthony Weir and James Jerman, Images of Lust - sexual carvings on medieval churches, Batsford 1986. 21: While individual, often idiosyncratic, folk charms and remedies of the cunning ones may have been passed down by word of mouth for many generations, there is no suggestion of any organisation or common approach. Academic literature sometimes makes poor distinctions between superstition, magic ‘charms’ and so-called ‘witchcraft’; notable exceptions are Thomas (op. cit) and Obelkevich (op. cit.). Thomas and Obelkevich both identify widespread witchcraft (Obelkevich specifically stating that it was flourishing in South Lindsey in the nineteenth century) but what they descibe is clearly not an organised religion (still less with any affinities to Gardnerian-influenced paganism) but rather the rag-tag remnants of folk magic that were to further degrade into the private superstitions of today (such as touching wood for ‘luck’). One of the leading figures in the modern pagan movement, Michael Howard, has published a number of articles in his magazine, The Cauldron, which deal with the roots of wicca around the middle of this century. His research has been thorough and involved interviewing many of the key people (several of whom are now dead). Despite this thoroughness he has found no indications of connections with a ‘living tradition’ of organised witchcraft predating Gardner. I interpret this as fairly conclusive evidence that there was no such ‘living tradition’ (outside the mind of Gardner and his followers) although acknowledging that Howard would disagree with my opinions. The information revealed by David Clarke and Andy Roberts in Twilight of the Celtic Gods (Blandford 1996; review in this issue) provides considerable support for the first two paragraphs of this footnote (which, as with the remainder of this article, were written before publiation of their book). 22: Ronald Hutton, The Pagan Religions of the Ancient British Isles, Basil Blackwell, 1991. 23: Miranda Green, Celtic Goddesses, British Museum, 1995. 24: See, for instance, the letters section of The Ley Hunter No.124, 1996, p29-33. Originally published in At the Edge No.3 1996.